Whiten your smile up to 8 shades! Plan to spend about an hour with us for your visit. During this time, you will be brought back to your treatment room and allowed to get cozy in the chair with a pillow and blanket. As always, you will have your choice of music as either Heather or Sara get you set up for your whitening treatment. Once your teeth and mouth are all prepared for the Zoom laser light, your chair will be reclined to a comfortable point for you, and your Netflix movie or TV choice will be put onto the large monitor in the room. We typically turn the lights down low and allow you to relax for the duration of your treatment. Many of our patients even fall asleep! Once your treatment is complete, the materials used in your mouth will be removed and your mouth rinsed. Then...you will get to see your beautiful white results. There is no down time and you are able to go right back to work or go about your day. Whitening toothpastes are an option if you desire minor brightening of your natural tooth shade. These toothpastes use a mild abrasive to gently polish away minor stains, so don’t expect a drastic change in the whiteness of your teeth. Adding a whitening mouthwash with a bleaching agent may provide a small boost to the whitening result. Be sure to start this regimen early and keep up with it everyday. If you don’t see the whitening results you hoped for, you always have other whitening options. 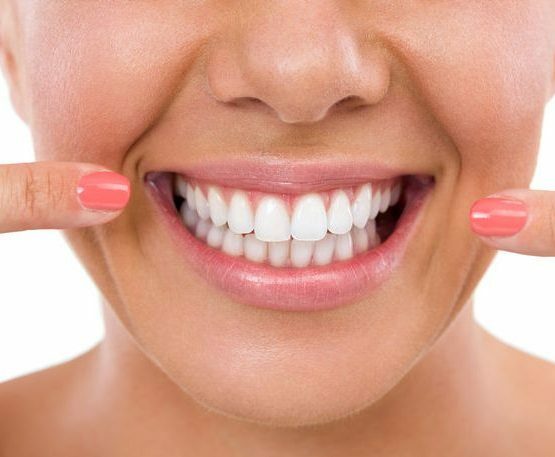 Whitening strips and trays are a cost friendly way to whiten your teeth, however they require regular maintenance use to be effective and can have minimal-moderate whitening results depending on the person. Whitening strips and trays typically use bleaching agents, like hydrogen peroxide, which open the pores of the teeth to bleach the enamel. For this reason, you may have to deal with sensitive teeth with every use with this at-home option. It is important to remember that for 48 hours after each treatment, you must stay away from foods and beverages that would stain a white T-shirt as they can stain your teeth, sabotaging your whitening efforts. So, avoid foods like spaghetti sauce, BBQ sauce, ketchup - and beverages like coffee, tea and dark sodas. Professional whitening trays can be custom made by your dentist and are used with prescription strength whitening gel. They work similarly to over-the-counter trays that you can purchase at your pharmacy, but typically have faster and more dramatic results as the gel is professional grade. 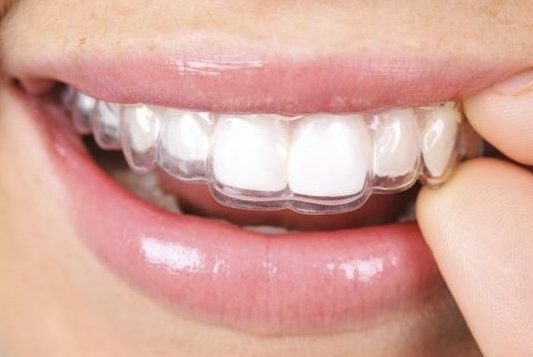 Using custom made trays allows for the whitening gel to lay uniformly along the surface of the unique shape of your teeth, whereas trays purchased over the counter have a general dental arch shape but are not fitted to your specific teeth. This creates areas where the gel can settle and others where the gel can't reach. For this reason, if trays are what you desire, custom is the way to go. Again, avoid any foods that can stain a T-shirt for 48 hours after every treatment. 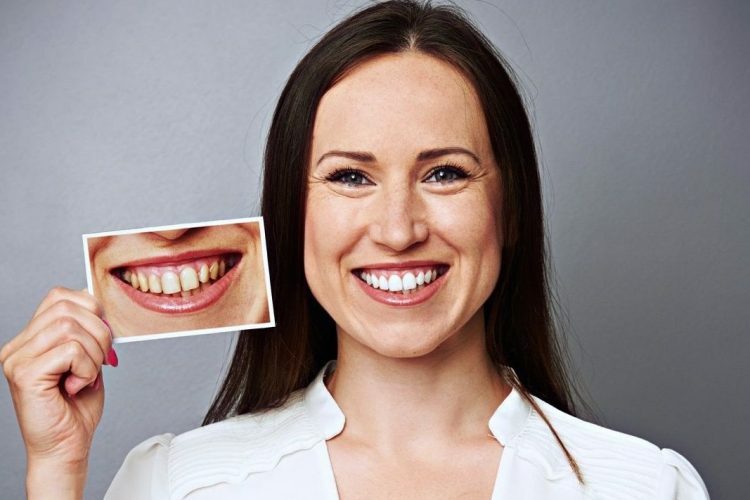 A professional laser Zoom whitening session in the office is the fastest, safest and most effective way to get a dramatically, yet natural white result. A single 1 hour session can yield the same results as several weeks with other methods. It’s also quite relaxing - we turn down the lights and let you pick a Netflix movie to watch! If you’re concerned about sensitivity, using a sensitivity preventing toothpaste like Sensodyne for about 2 weeks before your Zoom session can help to diminish any post treatment sensitivity. Some people have no sensitivity at all after Zoom, however some can have sensitivity for up to a week after their treatment. After your treatment, you still need to avoid “staining foods” for 48 hours while the pores of your tooth enamel close - but you only have to avoid your favorite foods and beverages following one treatment. Veneers are an ideal cosmetic solution for a fast but dramatic smile makeover in just one visit. A modern solution for straightening teeth with clear braces or aligner trays, made specifically for you. A fast and easy way to give your face a more youthful, naturally refreshed look with no downtime. WE MAKE IT EASY TO TAKE CARE OF YOUR SMILE.